Numerical simulations and predictions for airborne noise, structure borne noise, electro acoustics, ground borne noise and vibrations. D2S International makes simulations of vibrations (e.g. 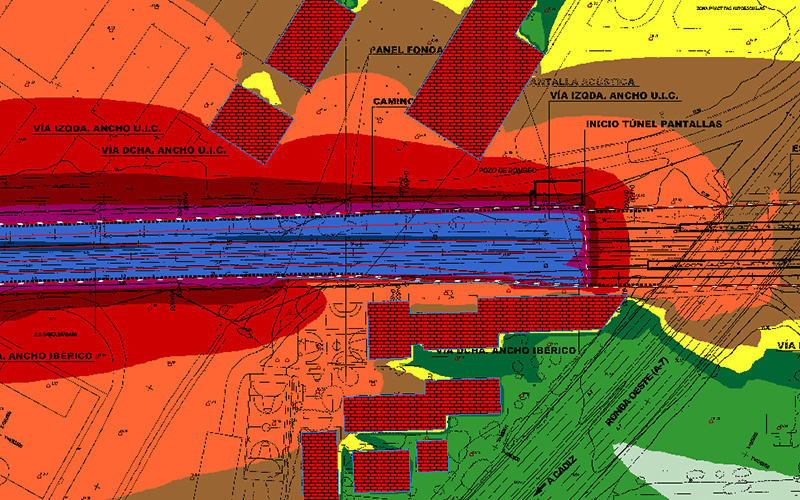 vibration maps) for new, existing or upgraded railway infrastructure. The different parameters that are taken into account are the soil characteristics, operational speed, vehicle characteristics (such as wheel quality, wheel diameter, non suspended mass, suspended mass, bogie characteristics, … ), track conditions (rail quality, track stiffness, sleeper interspacing, …). Based on these calculated vibration levels, existing mitigation measures are proposed or new mitigation measures are designed. Steel structures like viaducts or bridges can radiate noise when they are exposed to a vibration source(s). D2S International can simulate this noise with dedicated software and designs solutions to mitigate this noise. Steel structures like viaducts or bridges can radiate noise when they are exposed to a dynamic excitation, like a vehicle running over it. D2S International simulates this noise with dedicated software and designs solutions to mitigate this noise. The design of PA systems include the simulation of the Speech Transmission Index (STI), Rapid Speech Transmission Index (RASTI), reverberation time or acoustic clarity for different configurations of the loudspeakers. 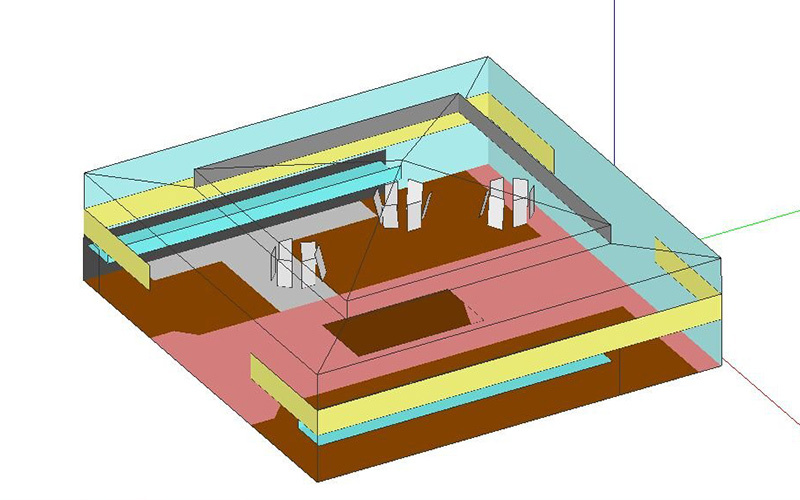 The simulations result in an optimal acoustical design of the PA systems. Background noise levels, absorbative elements, position and type of loudspeakers are taken into account. 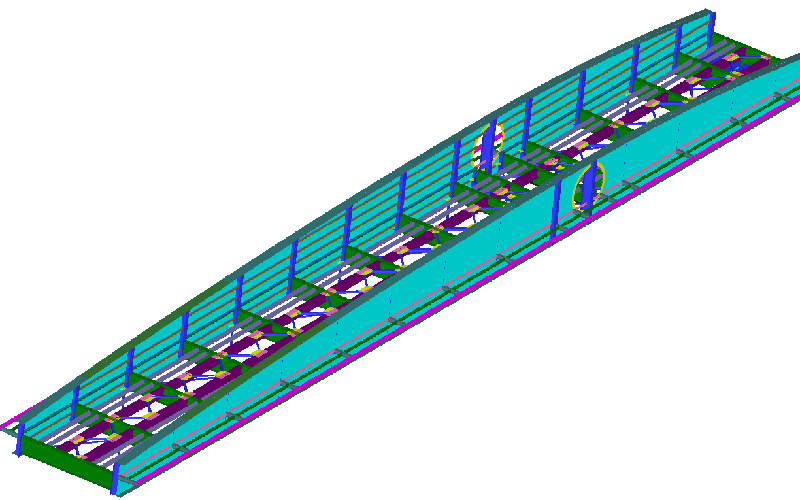 These simulations are supported by the measurement capabilities of D2S International. 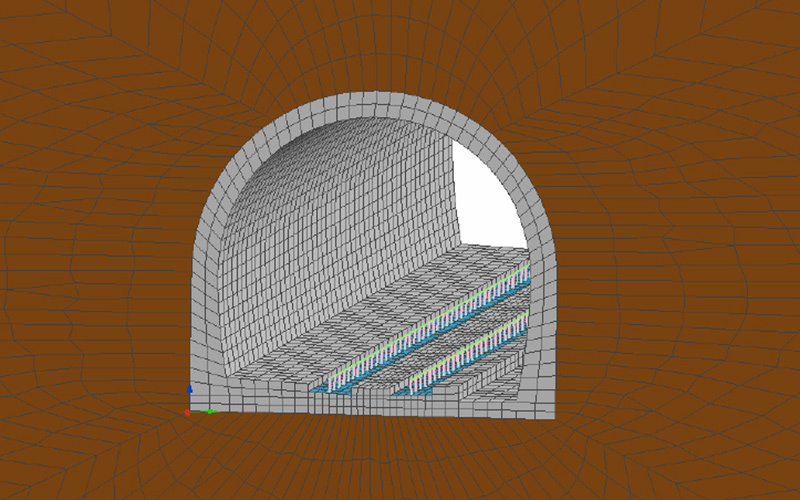 Interior noise simulations result in an optimal acoustical comfort and safety for passengers. EASE software is used to perform these simulations. 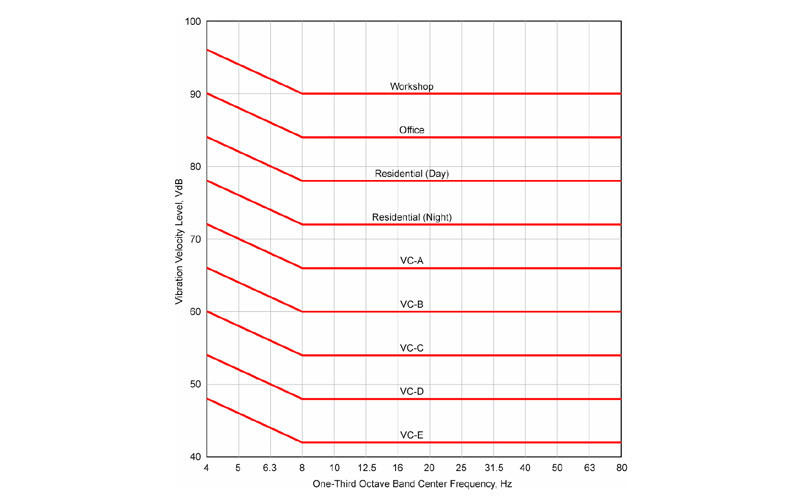 Noise levels generated in the environment, are calculated using the environmental noise calculation software IMMI.This software integrates all existing algorithms for environmental noise calculations, including (but not restricted to)NMPB – XP S 31-133, ISO 9613-2, RLS-90, DIN 18005, StL-86, VDI 2571/VDI 2714/VDI 2720, Schall 03, Transrapid, Semibel, CRN, CRTN, SRM II, TemaNord 1996:524 & 525, ÖAL 28, Ö-Norm S5011, RVS 3.02.
production of noise maps with consideration of the selected mitigation measures. D2S International is equipped with the software and experience to perform strategic noise mapping according to the European Directive 2002/49/EC and including all adaptations of recommendation 2003/613/EC. 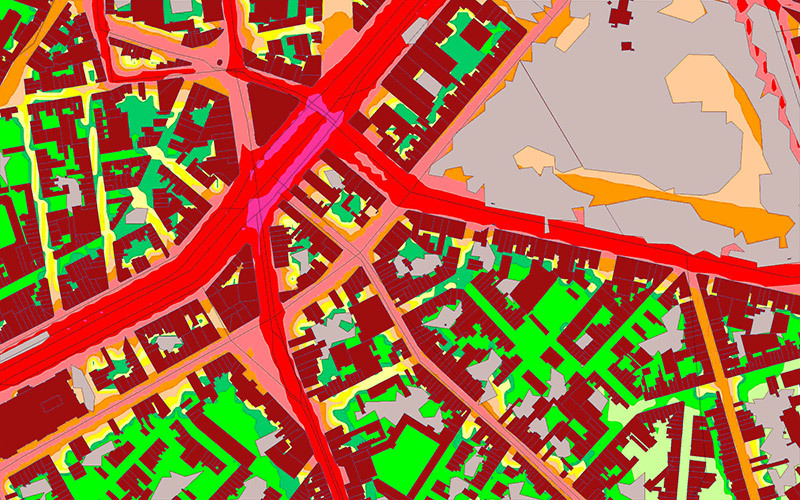 Strategic noise mapping is more than noise maps only. 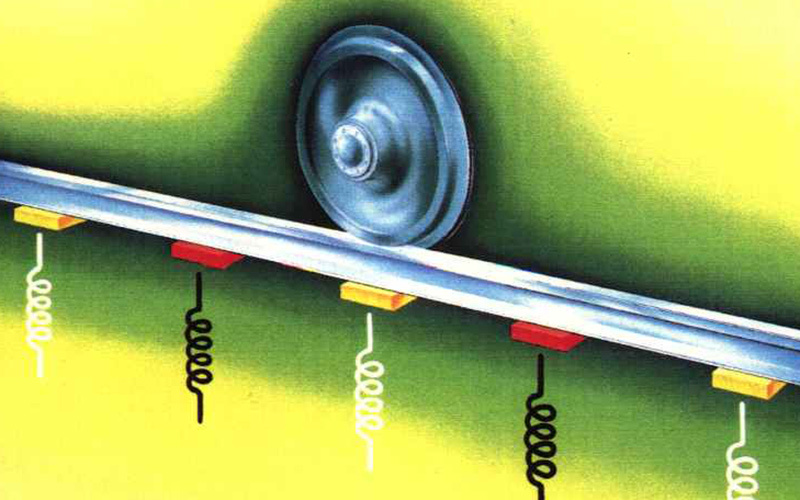 WR-NOISE is a program which calculates the wayside noise generated by a railroad wheel rolling on a straight track. the responses of all these elements (wheel, rail, tie and girder) generate acoustic radiation which, finally, through the contact area filter and the radiation efficiencies, produces the wayside noise.